The following provides an overview of the E, A and B level testing for Tracking. Please refer to the current version of the International Testing Standards for Rescue Dog Tests of the International Canine Federation and the International Rescue Dog Organization for more information. Note: These standards are valid as of January 1, 2012. The end of the track ends on an article, however a separate alert exercise is conducted after the track is complete. A victim is placed a short distance away (not seen by the dog). 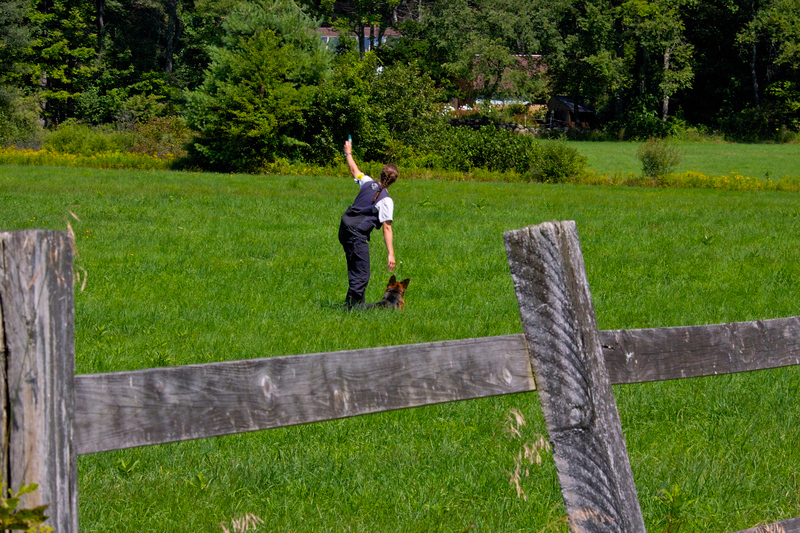 At the indication of the judge, the handler should make the dog search ready, and give the dog a command to search. The dog must alert clearly and with no help from the handler when he finds the victim. Permitted types of alert are barking, refind or bringsel. The search ready dog may be on leash (10 m) or off leash and wear a chain collar or harness. The article alert for the dog is told to the judge as well as the type of alert the dog will use when he finds the person. Barking, find/refind or bringsel are permitted. At the beginning of the track, an identification article is placed. The dog is started by having it locate this identification article. The dog must find this article and pick up the scent trail within 3 minutes of the start of the test. Handler needs to be 10 meters behind the dog during the track. The dog handler is permitted to interrupt the track (at the expense of the total time allotted). Water or wiping the dogs face is also allowed. When indicating the track layer, the dog may receive no support from the dog handler or the track layer. The dog handler must report the alert to the judge and may not go to his dog until instructed to do so by the judge. 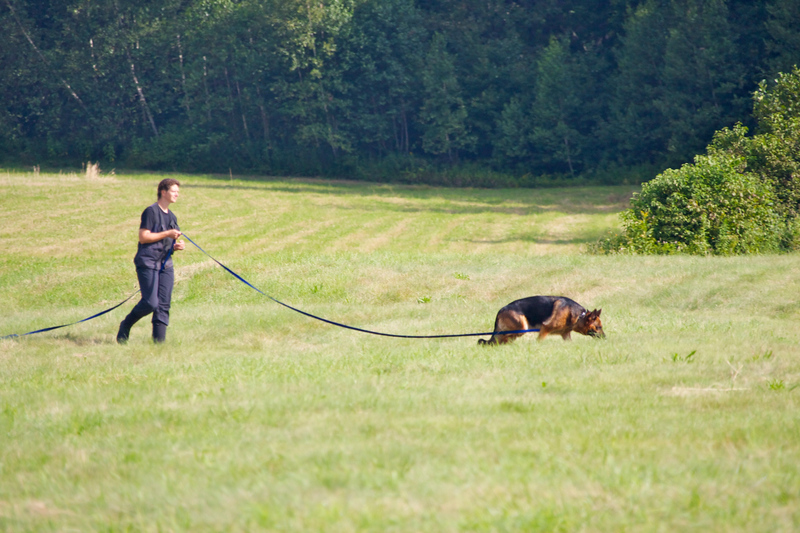 The dog must alert clearly and forcefully when the victim is found until the handler reaches the victim. For more information, please review the official testing standards.